Imagine that engine growling with anticipation, before your rally car surges forward to careen round dramatic roads, full of twists and turns. Does that sound like your kind of experience? 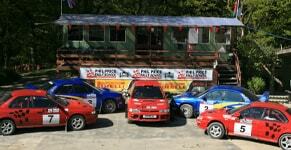 In that case, simply pay a visit to Wales and experience one of our epic Driving Days at Phil Price Rally School. Our passionate team are keen to welcome you this summer and promise an action-packed day for all participants. Our driving days include plenty of time behind the wheel of a Suburu Impreza, zooming round three miles of authentic rally stages. With plenty of time in the cars, you’ll feel like a true professional by the end of the day. Rated five-stars by our customers on Trip Advisor, this is an experience you don’t want to miss. Our experienced instructors will not only teach you amazing techniques, you’ll have a competition at the end, during which you can test your new rally driving skills. This One Day Intense Course costs £349.00 including VAT and you must be a competent driver and disclose any medical conditions you might have. We offer the option to pay half in advance and the rest on the day. It is extremely easy to book online, and you can check out videos of our venue on our website. 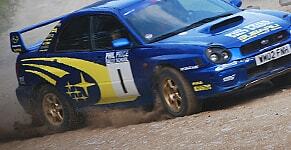 Why not discover what past participants think of our Driving Days?